Roderick Frazier Nash is professor emeritus of history and environmental studies at the University of California at Santa Barbara. 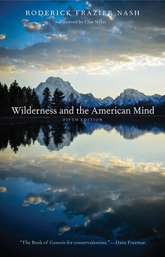 He is regarded as one of the founders of environmental history in the United States. Char Miller is the W. M. Keck Professor of Environmental Analysis at Pomona College.